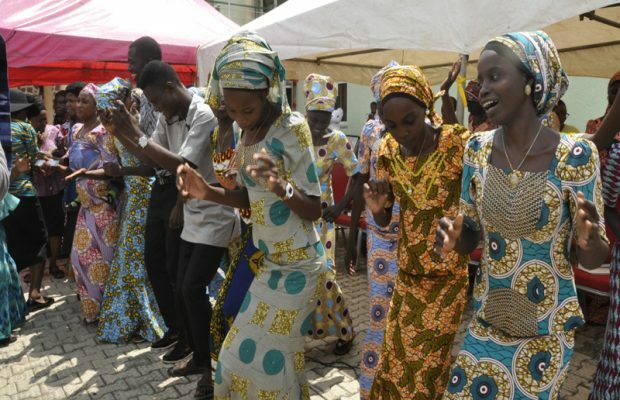 A Clergy, Pastor Bulus Baba of Kaya community in Chibok local Government Area of Borno state, has said that the story they received from the released Chibok girls during their visit to celebrate Christmas with their parents and relations in Chibok revealed that some top politicians who are sponsors of the Boko Haram insurgents were allegedly involved in their abduction, probably to frustrate the past administration under President Goodluck Jonathan. reports, rather, they were taken to Maiduguri, the state capital and kept at a location in GRA, where they spent about two months before they were relocated to Gwoza local government, which later became Boko Haram Caliphate. He said, after that incident, the girls said they were then moved to the Sambisa Forest where they were divided into groups with some of them forced to marry the militants, while some of them were sexually abused by the militants. “It was a sad story, we believe that those behind this evil will never go unpunished. For us in Chibok, we will keep praying that, those of them who are still being held by their captors shall gain freedom and be reunited with their families like these ones that came home.” He added. According to him, before the Christmas arrangement that brought the released girls, many parents and relatives did not believe that some of the girls have been released. He said, some of the parent died within the period due to blood pressure and other related ailments.